Add texting to your campaign communications tools and open a new communication channel for your potential voters and contributors. Invite them to join your campaign by simply texting some keyword to your phone number. You can get local and 800 numbers or use your current phone number. Send and receive SMS and MMS as easy as e-mail from any mobile, tablet, laptop or PC, perfect to be on the go. 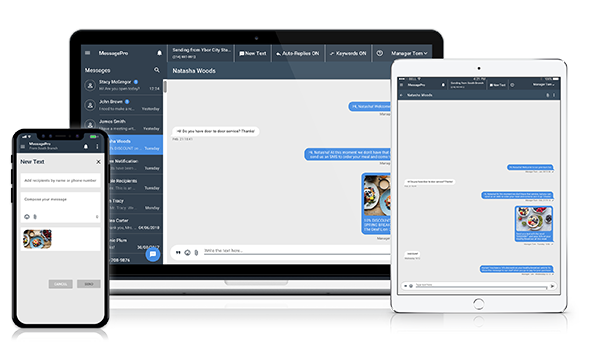 Studies show that 95% of people read text messages within 15 minutes of receipt, making MessagePro Office a game-changer for any organization. Additional features include logging, reporting, and, automatic replies. Amazingly inexpensive! Twitter and Facebook are useful tools, as is email, but MessagePro Office allows us to build contact lists that we alone control, and it’s essentially a private channel between the campaign and its supporters. We use the list capabilities extensively to send schedules and more to those interested. Want to Know More About MessagePro for Political Campaigns? Let’s Talk!